Ravi Shankar is a musician and composer from India. Ravi Shankar was a guest on The Krusty the Clown Show in the 1970s. 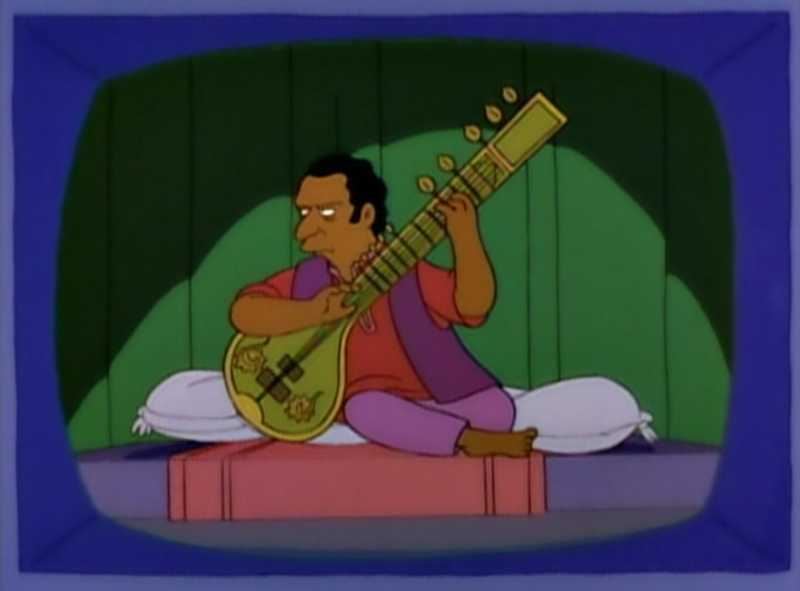 Krusty introduced him by saying, "And now, what you've been waitin' for, another long raga by Ravi Shanker", mispronouncing Shankar's last name. Shankar corrected Krusty, and Krusty said, "Groovy, man." The episode where Shankar appeared was repeated during the summer when Bart broke his leg and had to stay inside. However, he did not like the episode and fell asleep. In real life Ravi Shankar died December 11, 2012. Modified on September 9, 2017, at 13:40.